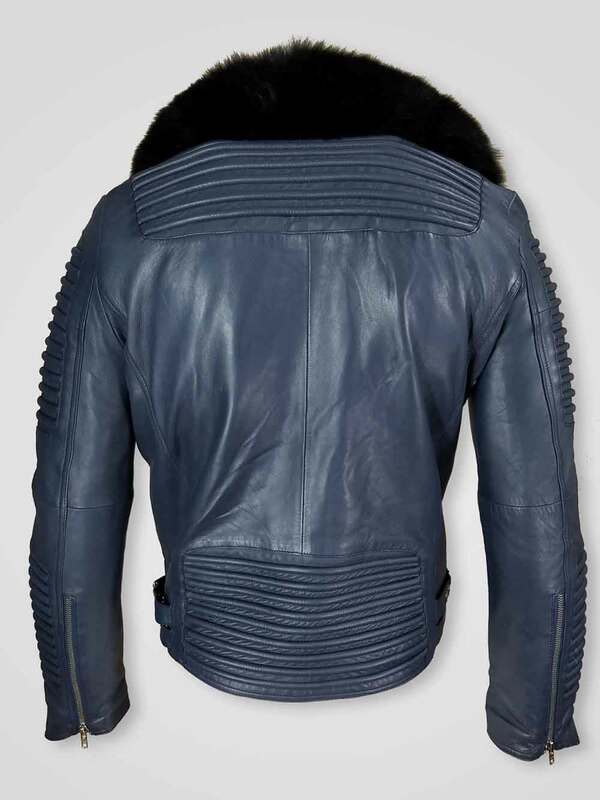 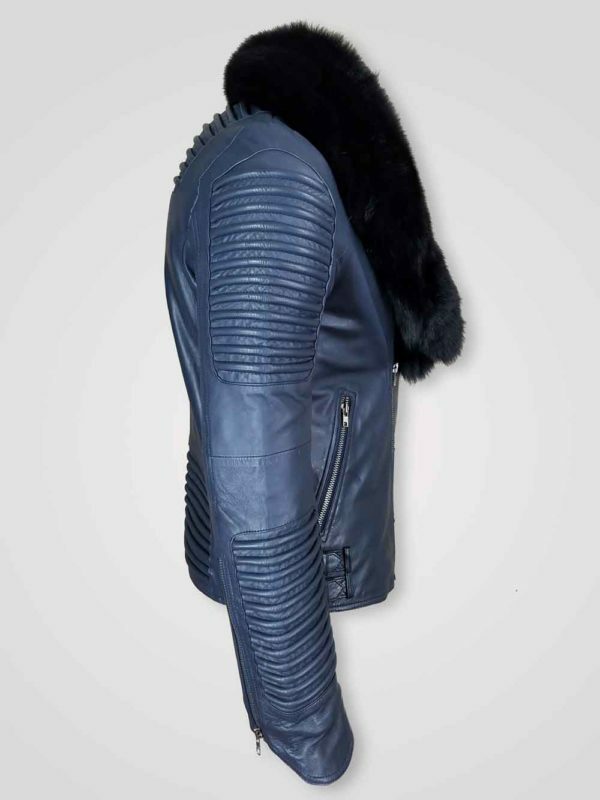 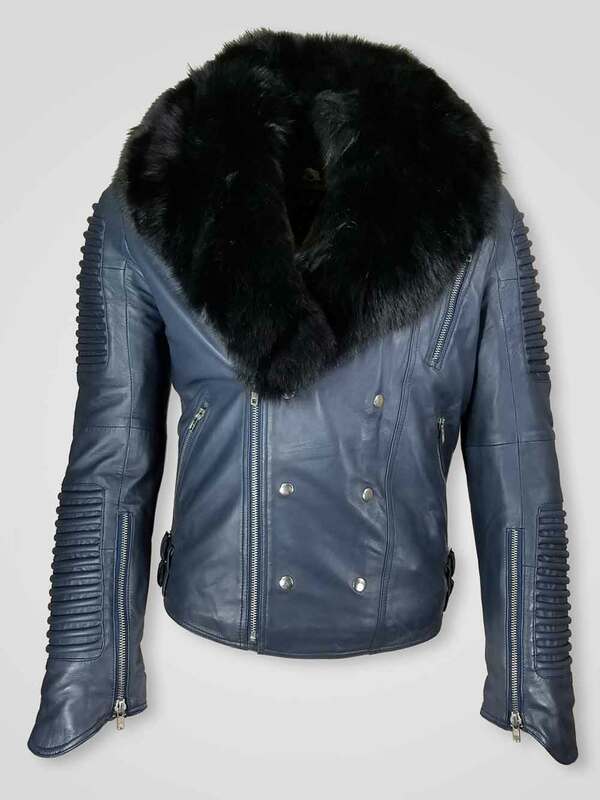 Description: If you are getting bored with the regular leather jackets then must try this unique pure Italian leather finish jacket at Alen Cooper. 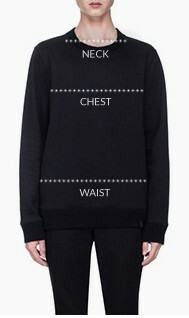 It will fit perfectly as it is available in various sizes. 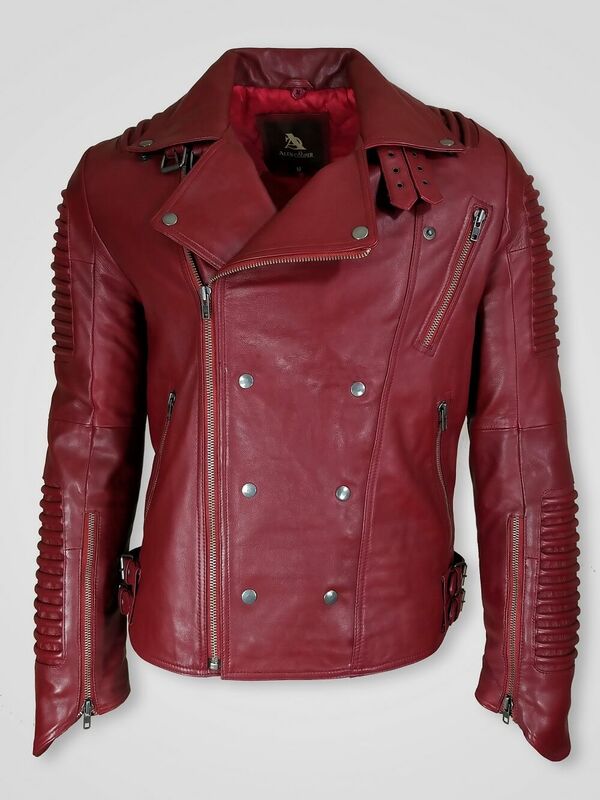 The cherry color, long quilted sleeves, snap buttons and Asymmetrical Zipper closure at the front are the main attractive attributes which are ensuring a cool look of the wearer. 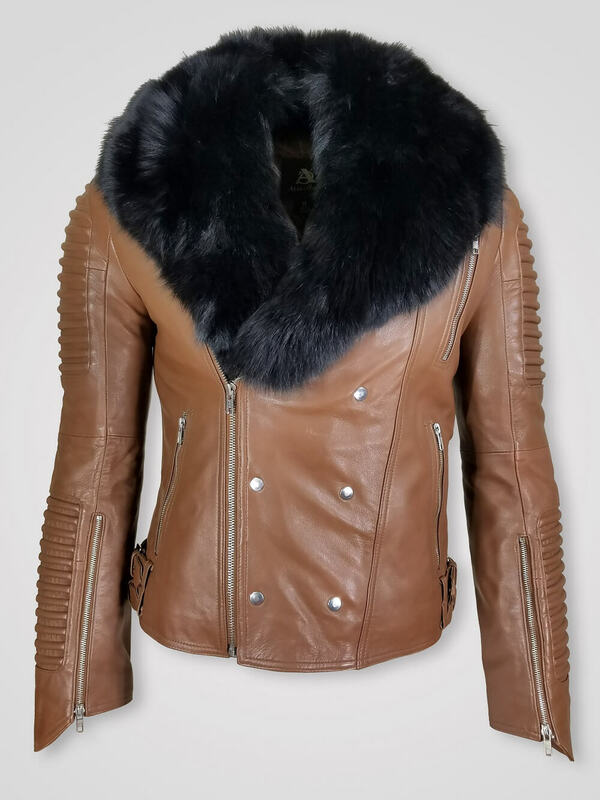 Specialties- Real fur collar, quilted shoulder and sleeves are the attributes which are making this outerwear simple yet elegant. 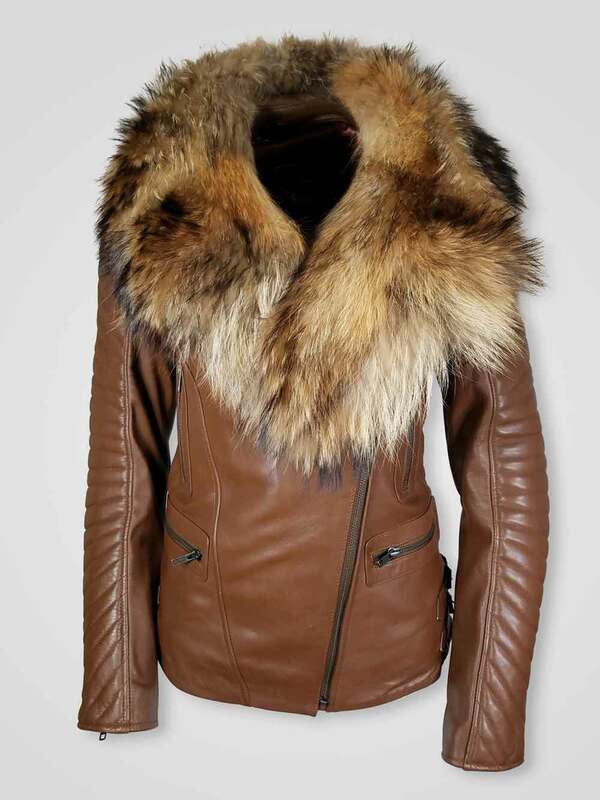 Really liked its fur collar, the jacket color is also good. 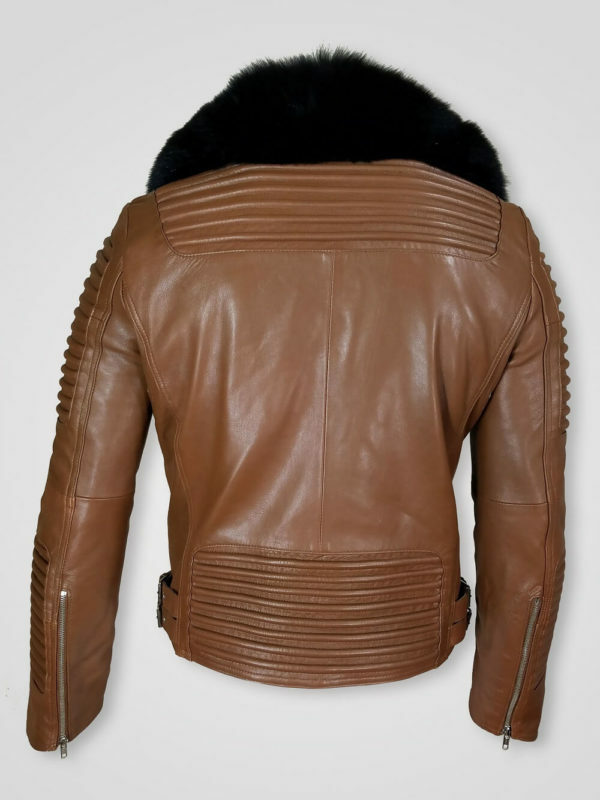 Zipper closures are smoothly working, standard warmth, overall, it worth the five stars!